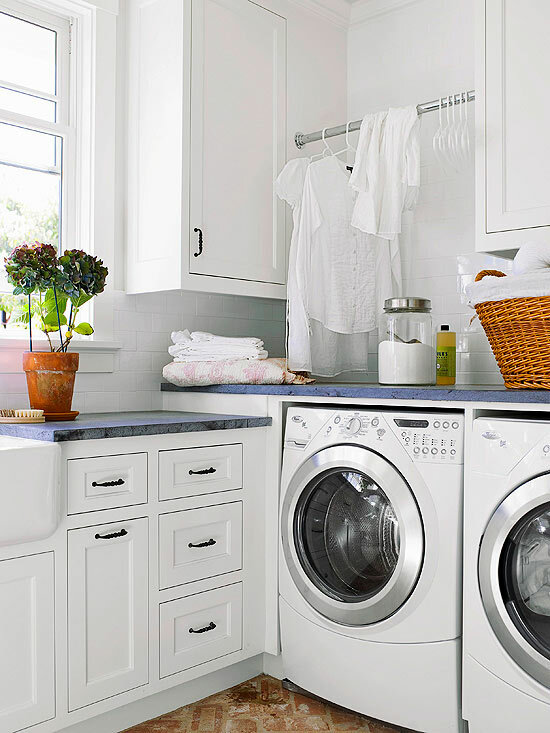 We spend hours in the laundry room each week, so why not make this space as fresh and functional as possible? 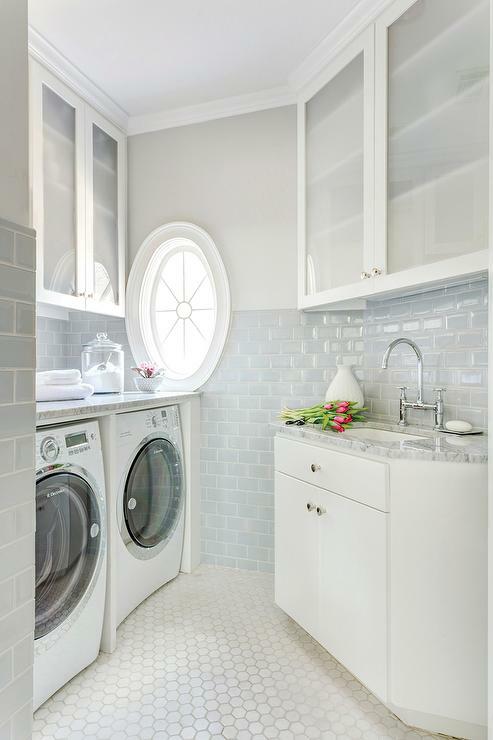 Make a laundry room you actually want to spend time in with these tips from Mosaik Homes. Take a cue from your kitchen and tile the wall behind your washer and dryer in a texture, colour, or pattern that you love. A backsplash will protect the wall from drops of detergent or bleach, while bringing the room to life with style. 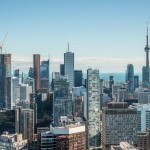 Ensure that you choose a material that is durable and easy to maintain. The last thing you want is to turn your laundry room into a place that requires a lot of work keeping clean. Glass tiles are easy to clean and wipe down and add a fresh and stylish touch the mood of the room. 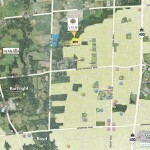 Think in terms of wet and dry zones to make the laundry room more efficient. Place the laundry sink and washing machine side by side to streamline wet tasks together. Beside the dryer, install a clothing rod to hang clothing to air-dry. Every laundry room needs a place to hang clothes fresh from the dryer or delicate items you prefer to air-dry. Reserve space for an ironing board nearby to allow for quick touch-ups. Counter space is vital for folding, placing your laundry basket and other items while you work. Install a countertop so you have a place to fold clothes as they come out of the dryer. Use quality materials such as a durable granite, slate, or quartz countertop, and you will undoubtedly enjoy your time in the laundry room. Ideally, it should be right above the dryer to streamline your movement. If that’s not an option, bring in a table or cart that’s tall enough for you to work on while standing up. If you have the square footage, add an island to your laundry room to increase counter space. Built-in shelving is a customizable way to add storage to your space. It seamlessly blends with your space, and in the laundry room, it provides a place to put necessities. Loose items should be contained in baskets, bins and canisters to keep your space looking neat and fresh. Keep much-used items within arm’s reach. Glass canisters are an elegant choice to hold handy items, such as detergent, cleaning brushes and safety pins. They can even contain decorative items for a special touch. Natural light brightens the laundry room and stops you from feeling like you’ve been consigned to the dungeon. Just as with the kitchen, you need good task lighting over work areas to make your laundry room functional. Use under-cabinet fluorescent tubes or LED under-cabinet fixtures to illuminate the countertop so you can see well enough to match socks or check clothing for stains. 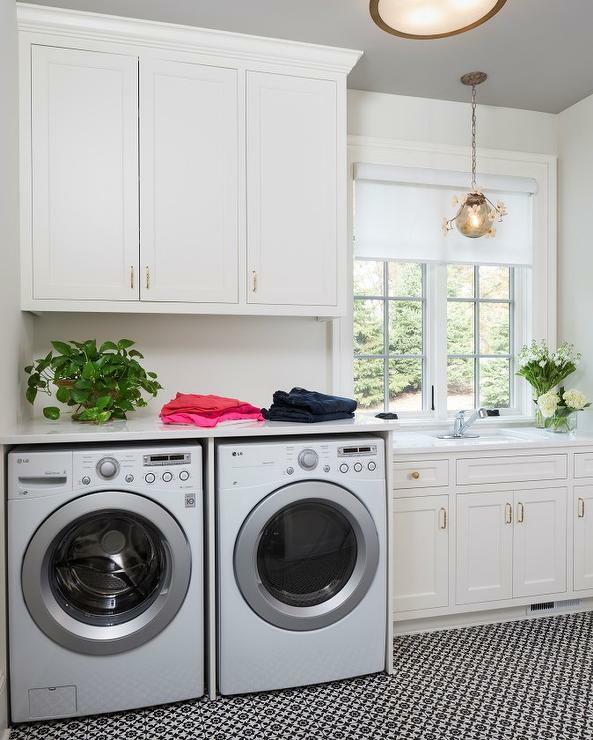 Lighting lets you see inside the washer and dryer to make sure nothing is left inside, Not only does the right lighting provide better vision, but gives you that bright fresh feel to your space. 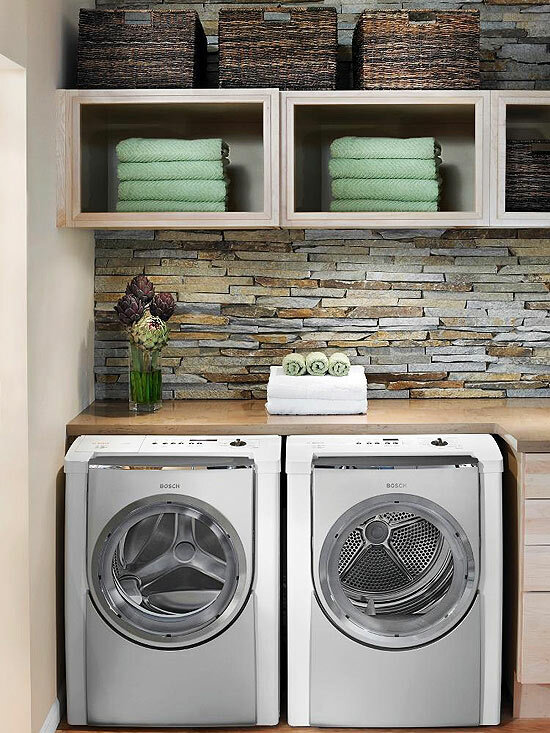 Laundry rooms may be hardworking, but that doesn’t mean they have to be without style. These tips will give a fresh and functional feel to one of the home’s most used spaces.